Oh yes: Utterly delicious, cow-free treats. Not a soul on the planet should have to abstain from the enchanting delicacy that is ice cream. If you're dairy-averse or looking for a fresh take on the icy treat, vegan ice cream is yours for the making. There are plenty of alternatives to cow's milk that can mimic its creaminess without the utter fuss of dairy. And better yet, the dessert doesn't require much elbow grease or hard-to-find items. For a near-effortless option, toss a couple of ripe, frozen bananas into a food processor. Pulse a few times and -- voila! -- you've just created instant banana soft serve. There are innumerable ways to dress up the banana-based confection. 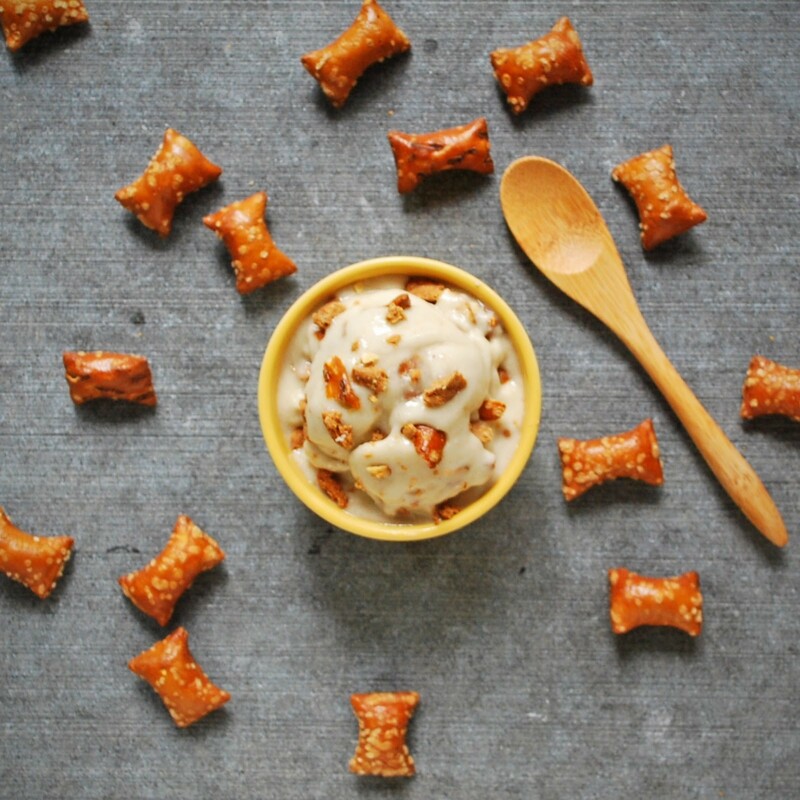 Take for example, this Peanut Butter Pretzel Banana Ice Cream. This straight-forward recipe calls for almond milk and peanut butter-filled pretzels, along with frozen bananas to maintain an ice cream-like thickness. Get the full recipe from from Drum Beets. This Vegan (and paleo) Banana Split gets sweet with dates, caocao powder and raspberry chia seed jam. Add chopped pecans and shredded coconut for an even more decadent dish. Get the full recipe from Peachy Palate. And if chocolate ice cream is your modus operandi, take a gander at this Chocolate Banana Ice Cream. It's vegan, gluten-free and and lends itself to any topping your heart desires. Get the full recipe from Knead To Cook. If bananas aren't your thing, have no fear. You can still concoct a perfectly lush vegan ice cream. Coconut milk, which is entirely dairy, animal-product free, adds indulgent creaminess. You won't miss the stuff of cows. For a coconutty vegan-twist on the classic sundae, try this Coconut Almond Ice Cream Sundae. The base requires just three ingredients -- almond butter, coconut milk and maple syrup -- blended together and frozen. If you have an ice cream maker, this recipe comes together seamlessly. If you don't, pop the blended mixture into the freezer and scrape the bowl every half hour or so, until frozen. recipe from Get the full recipe from Vegan Family Recipes. Any purist will be proud to make (and eat) this Coconut Vanilla Bean Ice Cream. Mix coconut milk, sugar, cornstarch and a single vanilla bean and you'll never again experience a longing pang for the vanilla ice cream of your youth. Get the full recipe from Bob Vivant. Once you craft the vegan ice cream of your dreams, feel free to pop it in a cone, top it on a waffle or sandwich it between two enchanting vegan cookies.